YouTube Description:There are winners and losers. 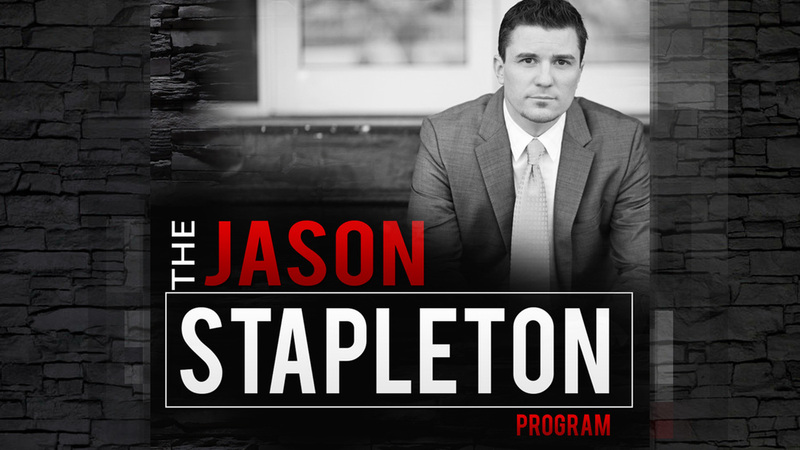 Jason Stapleton Program explains. Was Rep Justin Amash's Surprising YES Vote on AHCA Justified? The problem with the news today is they no longer provide an objective look at what happened. Instead, they provide a biased point of view and then tell you what to think and how to feel about it. Instead, I'll cover two competing views on Republican Representative Justin Amash's YES vote on the American Health Care Act (AHCA) and allow you to make up your own mind. Haven't read it yet? I'll post it at the bottom of the article in an effort to declutter. We'll first look at his decision and validate it against our Principle of "Constitutionalism". This allows us to determine whether the new AHCA bill is even valid, legal or constitutional. The second way to critique Representative Amash's decision and look at his reasoning. We can then determine if the new AHCA incrementally takes us 'Closer to Liberty' or 'Closer to Tyranny'. There is no gray area on this question. The AHCA Bill is either constitutional or it's not. If it's not, Rep Amash took an oath to uphold the constitution and failed by voting YES. A NO vote on an unconstitutional bill is a constitutional vote. A YES vote for an unconstitutional bill is an unconstitutional vote. The argument from those who uphold this principle of Constitutionality will claim that we even if AHCA is incrementally better than ObamaCare, his vote on a law that violates the Constitution should be an automatic NO. They would also claim that just because this unconstitutional law is slightly better than the previous unconstitutional law, Libertarians have never been about voting for the lesser of two evils, Quite the opposite. Does AHCA Take us Closer to Liberty or Closer to Tyranny? Those who support Rep Amash's YES vote because "AHCA is incrementally better than ObamaCare" will typically claim that they are 'realists' in the room. They understand that we won't wake up tomorrow living in a libertarian society with a perfectly Free Market Health Care system. They argue that libertarians have to do what we can, when we can, to reduce the size of government, even if incrementally. Rep Amash knows that a NO vote doesn't repeal ObamaCare, it's the law of the land. Realistically, he notes, a YES vote can at least get us started in a new direction, one towards Liberty. This might be true even though I believe AHCA to be a monstrosity of legal code atop another monstrosity of legal code. The problem is that for for the past seven years, Republicans have run for Congress on a commitment to repeal Obamacare. And now, even though they claim this is it, they are only amending ObamaCare, retooling the subsidies, taking out the individual mandate, and ensuring the government is the one who maintains power of the health care market. The AHCA is bad politics for the Republicans and bad policy for Amash's name to be tied to. Why risk putting your name on a slightly better turd sandwich than the one you inherited? The one they all got elected on promising to repeal? The one they passed very clear Repeal Legislation on more than 50 times when they knew President Obama would just veto? It seems to me that allowing the ill-effects of government intervention into the health care market only empowers those calling for Single Payer, a death knell for individual liberty and one that ensures increased scope of government and decreased quality of product. My principles of Limited Government and Free Markets refuses to support AHCA. Part of me cheers knowing that it's not likely to pass the Senate in it's current form. This is a tough one. I'd love to hear your thoughts below on whether your support the AHCA because 'at least it's a slightly better turd sandwich' or if you'd prefer a NO vote on it because 'Repeal ObamaCare or NOTHING'. Would you be happy living with ObamaCare for another few years in an attempt to try to get full repeal? I'm not optimistic that any power given to the government is one that you'll see them give back without a long fight and without multiple electoral consequences for politicians. 1958: Officer Bill gives Jimmy a stern lecture about listening to his parents and not running away from home, then brings him back. Jimmy's mom is so grateful, she bakes a pie and brings it to Officer Bill's house the next day. 2017: Unsupervised juvenile observed at 1300 hours. Juvenile taken into custody. Arrest warrant issued for negligent parents. SWAT team dispatched to residence. Front door accessed with battering ram. Family dog shot. Female suspect pepper sprayed. Male suspect tazed three times for refusing to immediately comply with orders. Male suspect then handcuffed and tazed again. After spending the night in jail, the parents are arraigned. The father is charged with disorderly conduct and resisting arrest and is sentenced to 30 days in the County Jail. The mother pleads to endangering the welfare of a child and gets 1 year probation. Jimmy is sent to foster care where he is molested for 5 years before committing suicide. Jimmy Kimmel's Story Drive You to Tears? Me Too, Here's What We Do. Jimmy Kimmel's kid had a hole in the heart and went to LA Children's Hospital. World renowned. Private. Non-profit funded by donations only. Doesn't even touch ObamaCare/TrumpCare. No matter what the government does, it's adding a monstrosity of regulation on top of a monstrosity of regulation and prices will only rise. I donated to LA Children Hospital when I saw Kimmel's story because I think it's important that we prove that the private, free market can cover these woes, while the government could give two shits about costs. If stories like Jimmie Kimmel's tear at your heartstrings, like it did mine, it's immoral to sit by and think that government will take care of us. More than 85% of CHLA donations goes to care(higher administrative costs than a typical charity bc it's a hospital vice a 'fundraising' charity) whereas only half of my tax money trickles down into a health benefit for someone. Put your money where your mouth is. These large influxes of private donations make headlines and prove the government 'assistance programs' aren't necessary. Why Does Mike Rowe Love This Economics Book? Just last week, I heard Mike speak. He loves the real world – and I can understand his conviction of the sheer fakeness of the world imagined by politicians. Hazlitt shared that same view, and this comes through in the text. This brings to mind one of the special moments in my life. Before his death in 1993, I sat in the back of a limousine on the way to dinner with Henry Hazlitt and discussed the book. I asked him if he felt pride that his book was still a best seller. He said that he did not, since he didn’t think it was very good. A book he felt genuinely proud of was Foundations of Morality – probably one of his least known works. Before starting his next job, Hazlitt decided to take a few weeks to write a primer on basic economics. His attitude is understandable when you consider the context in which Lesson was written. For twelve years, he had been writing daily editorials, mostly unsigned, for the New York Times. He was also writing book reviews under his own name for the Sunday paper. He was aware of the ideological conflicts at the paper. There were many partisans for the New Deal. He was not among them. But his status was protected there because of the desire for diversity of opinion. But as the war was ending, the paper had to make a choice. Powerful elites had gathered to cobble together a post-war planning apparatus that included a world bank and a new system of monetary management. It was the new dollar standard – one not entirely divorced from gold, but the US dollar would be the only currency tied to gold. The rest of the developed world would tie their currencies to the dollar. Hazlitt knew that it couldn’t work. The US was not in a position to determine the fiscal policies of other nations. They would not feel the discipline that gold would impose and would be incentivized to spend freely without facing downward currency pressure. This would ultimately cause gold outflows from the US as the demand for gold would rise, even as its dollar price was fixed. This would prompt unsustainable gold outflows. The imbalances would cry out for correction and the whole system would collapse. Hazlitt explained this day after day. But as time went on, it became ever more clear that the Bretton Woods system was a foregone conclusion. The paper would have to adjust. The editor brought Hazlitt in and told him to stop editorializing against it. Hazlitt complied but also began to tidy his desk to prepare his resignation. He left in 1946. His next job was writing for Newsweek, while also helping Leonard Read get the newly formed Foundation for Economic Education going. He had also become good friends with Ludwig von Mises, and eagerly anticipated serving as his literary champion. It is doing for us in 2016 what it did for people in 1946: teaching the fundamental truths.But before starting his new job, Hazlitt decided to take a few weeks to write a primer on basic economics. After all, it was what the world needed now. He wrote it in a white heat, putting on paper all the apparatus he carried in his head. He avoided hard theory but jumped straight to the large lesson: economics is about the effects of policies on all groups over the long run, not isolated groups in the short run. He applied it as broadly as possible to all existing political and economic controversies. Why does a book become a wild best seller? The title. The timing. The clarity of content. The benefit it provides to the reader. There are many reasons, and, for whatever reason, it all came together for Hazlitt in this one book. It would secure his reputation. To his private dismay, it would be the text that would define his legacy. Since Rowe recommended it, FEE.org has been blowing up with hits and downloads of the book. Good. It is doing for us in 2016 what it did for people in 1946: teaching the fundamental truths. And given the way things are going in this election, which has provided frequent occasions for head-slapping for many months now, it is once again serving its intended purpose. Economics must be taught anew in every generation. Hazlitt continues to be the world’s teacher. Bretton Woods is long dead. But this book lives on.